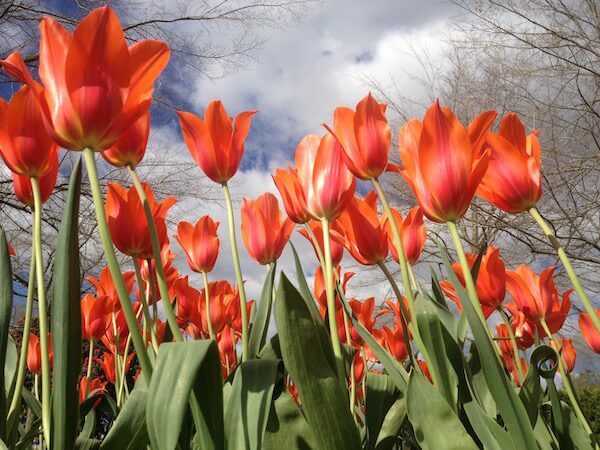 One of the best things to do in Rotorua during October is to stroll around the inner city enjoying the stunning Tulip displays. I've got to admit, our city looks gorgeous with all the spring flowers. Over 100,000 are Tulips alone. It's time too for the school holidays, and Labour Weekend, the last public holiday before the stretch leading up to Christmas. Featuring in this month's calendar of events is the annual Okere Store's Beerfest, and the annual 10 day Rotorua Bike Festival, a whole lot of fun. It's shaping up to be a busy month. Don't forget, there will be plenty of Rotorua Markets held throughout the month as well. The dates for the Lakefront Craft Market are the 7th, 20th & 21st (Labour Weekend). Scavenger Hunt!! Get out into our natural parks and reserves to solve clues, take photos and answer questions. Downloadable map and instruction sheet available. As well as having fun you might win a prize too. Rides, food and fun. The place for families or friends to come together and enjoy some light-hearted timeout on the Dodgems, Train, Explorer, Flying Dragons, Ferris Wheel and much more. Make sure your wallet is full, or get the evening Super Pass Special of $39. That's unlimited rides excluding the Turbo Boost from 7-10pm. The library has a number of activities taking place, like solving an engineering puzzle, creating a Picasso mask, enjoying a rainbow dance party, learning how to care for animals, building a Lego Town and more. As well kids can take part in The Great Te Aka Mauri Scavenger Hunt. 4 prizes are up for grabs. The clue sheets are available near the front door. Answer the questions from finding the clues scattered around the library and make sure the entry is in before the end of the school holidays. Local artists come in to show young creatives how to go about creating things such as cardboard bug sculptures, dream catchers, a mosaic, a bird feeding station and a heck of a lot more. One theme per day. A cow wanting to be a Country-Western star. Who knew? Laugh out loud at Buttercup's adventures hoofing it to a Nashbull competition to make a name for herself. She'll be joined by the likes of Tyra Shanks, Whitney Gooseton and Pavatrotti amongst others. Teaching kiddies how to safely interact with dogs is a great skill to impart, so why not let the experts do it? You might get yourself a new pet while you're at it. Donell Lewis, Kennyon Brown and DJ Noiz come to town as part of their "Uce Juice" New Zealand tour. Selected shows feature Beau Monga and Nofo Lameko. Will this be one of them? Spiral back in time to the 80's and listen to the hits of Bon Jovi, REO Speedwagon, Pat Benatar, Twisted Sister and others brought to you by Rotorua Musical Theatre. Fun! A cow wanting to be a Country-Western star. Who knew? Laugh out loud at Buttercup's adventures hoofing it to a Nashbull competition to make a name for herself. She'll be joined by the likes of Tyra Shanks, Whitney Gooseton and Pavatrotti amongst others - but - the actors are off-script in this session and it's bound to get bulls-deep they say. Risque, raunchy and a little bit ranchy. Teams of 3-6 people make their way around the beautiful shores of Lake Rotorua in this fun event. Six segments are broken into distances of 5-8km. Get a group together, make it a family event, a work challenge. Who will win the Fancy Dress World Champs? And who's going to the 80's Activewear After Party? Beer Fest at its best in Rotorua. Local and specialty events with main ticketed events on the Friday and Saturday nights. Some of the lineups include Whitechapel Jak, Otium, Lloyd Ackroyd, The Miltones, Phil Edward's Band and Waiheke International Soul Orchestra. And look out for specialty German biers and the Schweinshaxe pork roast dinners, griller burgers, bratwurst sausanges and more. You've got to book though. $10 return trip buses laid on. A fun-filled family event to raise money for the Trust. Entertainment begins prior to the 3.4km walk that starts and finishes at the Village Green. Have spare cash on hand for the face-painters, cup cake stalls, raffles and food. Get dressed up too and you might win a prize. Patron of Hospice New Zealand, Jo Seagar, shares tips and tricks for putting on milestone events with minimum effort and maximum effect. Glass of bubbly from Volcanic Hills Winery and nibbles by Stolen Bike Catering Ltd. You might like to buy her book too. The Rotorua Bike Festival has amped it up in 2018 with a jam-packed calendar of 32 events. Over 10 days!!! Gather the family (and bikes) to explore Rotorua on a fun morning or afternoon excursion. Register through the Bike Festival Passport and be eligible to win some great prizes. Ride your bike like you’re on a Formula One racetrack. It’s short, fast and on a grass flatpack oval. Some of the world’s best cross country riders battle it out on a 1.9km course that would likely have the bejesus scared out of us mere mortals. Looking for the best 140kms of mountain bike single-track trail racing? You've found it. Individuals and teams compete for cash prizes, category wins, or mostly to achieve personal goals. If the 100km is too much, try the Whaka 50, or 25km races, or 10km. Kids can ride too. Recreation biking on Rotorua Airport's runway goes down a treat with families in the Ride the Runway event. You only have to see the tiny-tots taking part to know this. First up though is the “Runway RATs Race, a competitive duathlon event. That’s followed by the Ray White Yellow Bike Challenge and then Ride the Runway. There's lots of other fun things to have a try of too, and music, and food, and a heap of prizes. Hire an electric bike (available on site), register and you're off following the clues to then return with objects and information. If correct, you'll be in with the chance to win. It’s not a race and you just have to be back at base before close off time. Cost TBC. Mon 22 1-3pm at Baker’s Hollow (intersection of Dipper and Tahi Trails, Whakarewarewa Forest. Take in sites of significance on an easy ride around the lakefront area. A great event for the whole family to enjoy. Explore sites of significance around the Waipa/Whakarewarewa Forest on Grade 2-3 trails. Suitable for 5+. Wed 24 5-7:30pm, The Wattles Dual Slalom Track (Tarawera Rd), $2 to enter, free to watch and heckle. For the uninitiated, Enduro mountain bike racing has the competitors completing 6 stages, in any order, of downhill racing. In 6 hours!!! The riders can be shuttled back to the top for the next stage or bike back up. Apparently, it's all about strategising. They have to complete the stages and get back to the race HQ before the time runs out or risk incurring penalties. Some huge prizes and spot prizes are up for grabs so it's every man, or woman, for themselves. Family friendly event for children 2yrs-15yrs. There’s a short, medium or long course and a skills course. Also a ‘balance bike’ event for those under 5yrs riding balance bikes. Medal and goodie bag on finishing. Sat 27 at 2-4pm, Bottom of Mountain Rd, Western Heights. $5 per rider. Spectators and hecklers free. Everyone can take part in this hill climb at your own pace. And what a hill it is. Start from the bottom and wind your way up to the top enjoying the fantastic views (if you can) along the way. The last 1.5km is part of the Mt Ngongotaha Scenic Reserve, a lovely area with bush either side of the road and birdlife. Everyone stays up top until the last rider gets there then you might not even have to do any pedalling whatsoever to get back down. If you’re going to watch, gather at the ‘gate’ halfway up, near Aorangi Peak. Always a popular event involving frocks and bikes, this leisurely ride is for all ages and abilities. Wear your best bike-friendly frock (includes guys) and join in on a frock-tastic ride. Two race to the top of the car park building with the winner proceeding to the next round and the loser is eliminated. Take a picnic and relax with live on-course music, lots of activities for the kids, oh, and racing of course. A great way to relax and just potter is a visit to the Lake Tarawera Spring Fair. situated on the shores of Lake Tarawera. There will be arts, crafts, pottery, kids stalls, yummy food, diggers, canvas goods and lots more besides. Cash only. Full force jet ski racing in this final round of Winter Enduro racing. Take a picnic or buy food and coffee on site. If you have a jet ski and want to try it out you will just have to buy a Day Licence, $20. It's that time of the year. Rotorua's Sulphur City Steam Rollers' Motley Crew, will take on a visiting team in what's bound to be a bruising roller derby event (battle really). Think 'rugby on skates'. Prizes for Best Dressed Adult & Child and for Best Supporter Signs. The kids will love the Lolly Scramble at half-time. 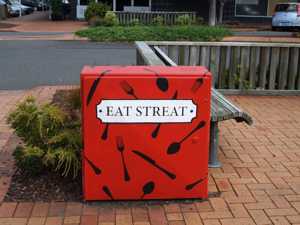 The place to go in Rotorua for live cabaret entertainment. Can feature Broadway, Opera, Las Vegas and more, designed to appeal to a broad range of tastes. The food's undeniably tasty too. Look out for accommodation specials. Take your pick of outdoor adventures to take part in or to support - amongst others there is the Podium Rotorua 1/2 Marathon, 2TOA Aotearoa CrossFit games for same gender pairs, and Central Districts Foot Orienteering Champs. For those not so physically inclined, enjoy the opening night of the speedway season including the only public fireworks display. Princes Gate are having a NZ Lamb & Beef Degustation evening if you like dining out, and a dinner and dance party later in the month.